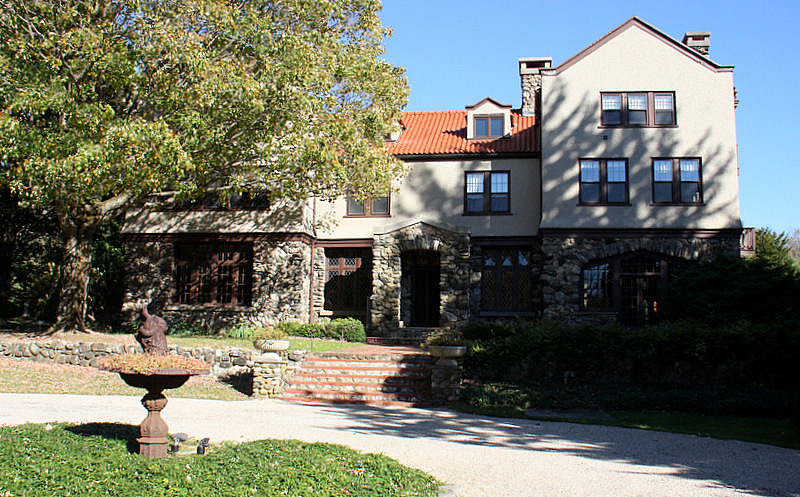 Rock Hall was originally designed in 1912 as a country home for a steamship company heir. The unique private manor is now an exclusive country inn catering to discriminating travelers. The home was designed by Addison Mizner, the celebrated architect most known for his work in Florida where he made famous the Spanish Revival style that established the sui generis aspect and aura of tony Palm Beach. Over the years, much of Florida has been converted from pre-20s shingle dwellings to the Spanish design — thanks to Mr. Mizner. Rock Hall is the only surviving piece of social architecture in the Northern United States designed by Mizner – that alone makes it a worthwhile place to see. There are four distinct sleeping rooms at Rock Hall. The small number of guestrooms gives one the perception of being in a very private resort where guests feel like they are part of a family rather than just temporary visitors. The congenial owner/innkeepers Stella and Michael Somers add to the wondrous sense of comfort and informality as they easily move among the guests seated before the considerable hearth with afternoon cocktails and remarkable hors d’oeuvres. Sitting alone in the huge parlor, we found the house to have both a restful and a haunting quality. 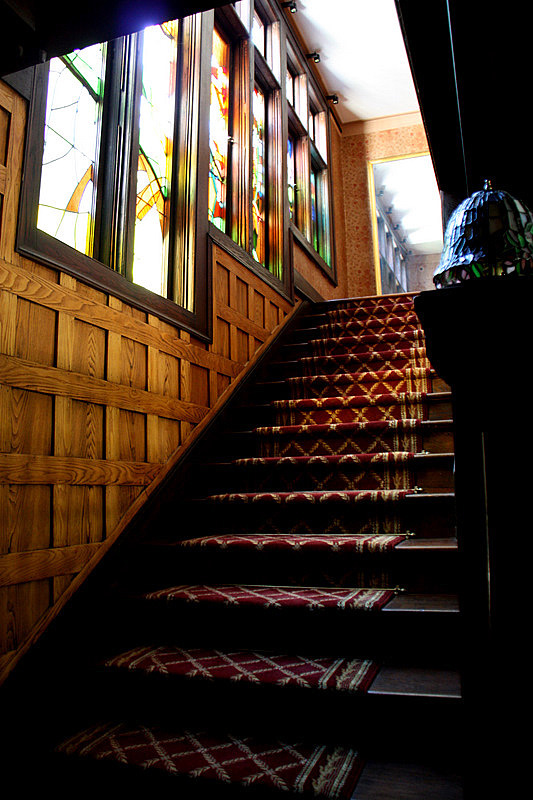 Listening in the quiet, we easily conjured up sounds and visions of social gatherings in the 1920s with summer’s fading sunlight shimmering through the glass along the staircase and through the original wavy windowpanes. The inn’s period antiques sat seemingly wanting to reminisce about warm night conversations from those early years. Times when well-to-do houseguests blithely mingled and talked through billowing layers of cigar smoke about the latest Broadway plays and current events. It all surely happened at Rock Hall – in this now silent room. If you have musical talent, take a turn at the grand piano in the same room – you just might find ready vocal accompaniment among the other guests – and spirits. Cole Porter or Jerome Kern tunes would be apropos as they most certainly filled the air in good times in the long forgotten past of this magnificent manor. The grand house also has a billiard room, fitness room (ask about their Spa and Wellness Services), card and game rooms, and a most interesting screening room. The eco-rich outdoor setting of Rock Hall includes a synthetic grass tennis court, large heated swimming pool, Jacuzzi, and an apple orchard. The Somers originally purchased Rock Hall in 2005 as a second home, but soon decided to open their unique estate to the public. 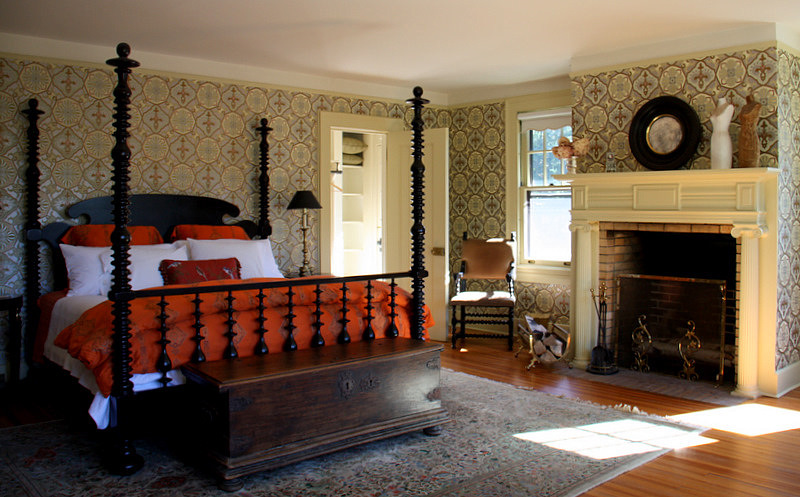 In 2008, it became part of a limited number of truly extraordinary inns in Litchfield County and the Southern Berkshires. Upon opening, Rock Hall was an immediate success with travelers who were seeking something different in luxury accommodations. To its credit, the house has recently been added to the National Register of Historic Places. We highly recommend Rock Hall for a romantic interlude, cozy weekend getaway, or a unique corporate outing. 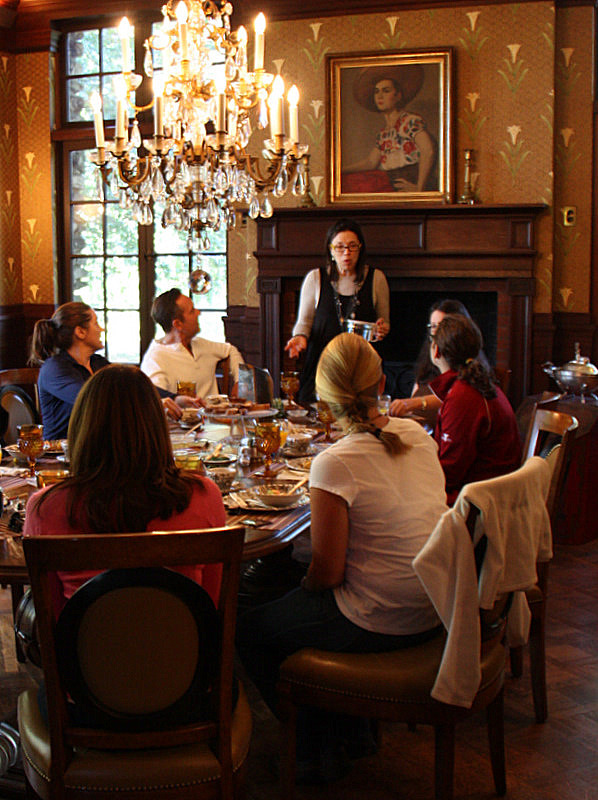 It is also possible to rent the entire estate for a special event. 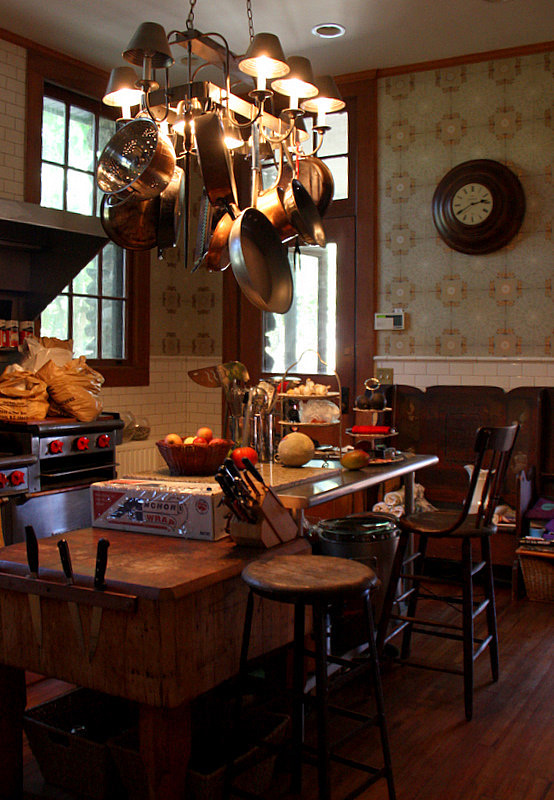 Innkeeper and Proprietor Michael Somers is passionate about fine food preparation and has trained with notable chefs in America and Europe. Working from his well-equipped galley complete with walk-in refrigerator, Michael produces the most exquisite and sumptuous breakfasts for his guests. We seldom feature recipes in our articles, but Michael’s incomparable Gravlax is a worthy exception. This recipe – courtesy of the innkeepers. 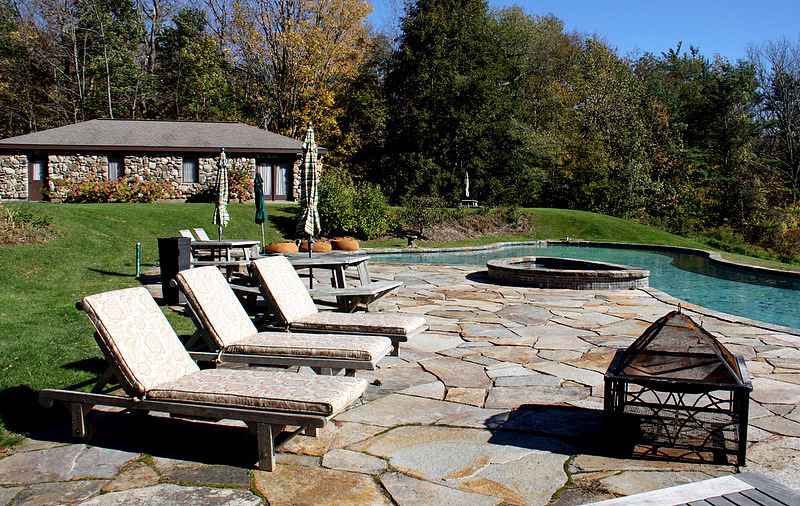 Rock Hall Luxe Lodging is located at 19 Rock Hall Road in tiny Colebrook, in northwestern Connecticut. It is a little over a two-hour drive from both New York City and Boston. It is also just minutes to the Infinity Music Hall, and Yale Summer School of Music. If you would like to see more pictures of Rock Hall please click here. 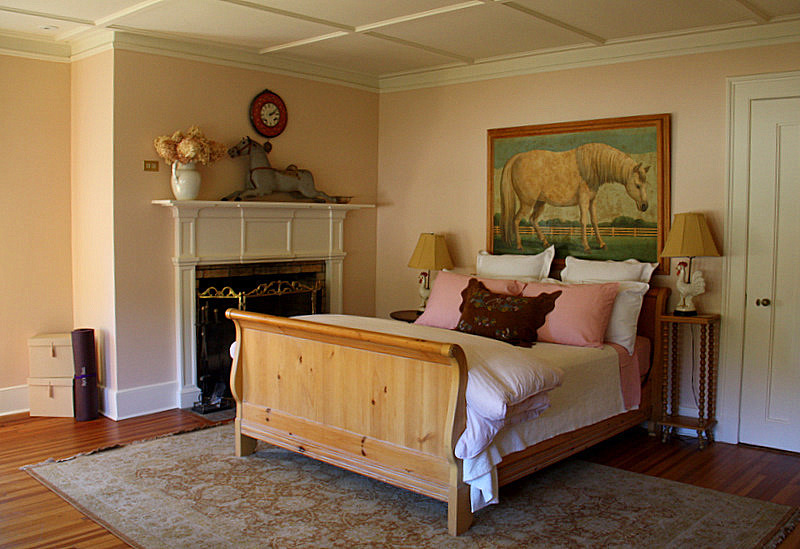 Lovely property not to be missed — a gem in the Litchfield Hills.